Is there a better alternative to Pricing? Is Pricing really the best app in Personal Finance category? Will Pricing work good on macOS 10.13.4? 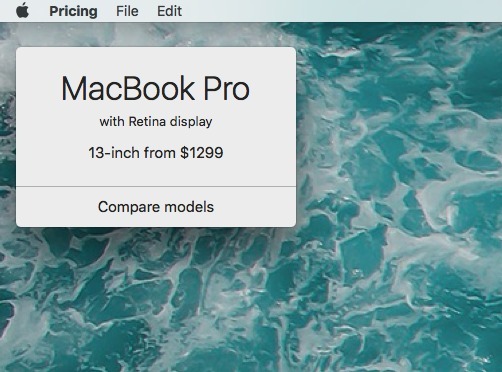 Pricing is a new and cool way to price tag apple computers. If you have an Retail Store and you sell Apple Computers this is the best way to Price Tag the Computers. Get rid of bulky advertising stands and make it look better just on the screen, just like Apple do in the Apple Stores. You can add link to your website or some document file to compare models and price. Really easy to edit, just triple click on the top right corner of the Pricing window and you can edit all info. Pricing needs a rating. Be the first to rate this app and get the discussion started!